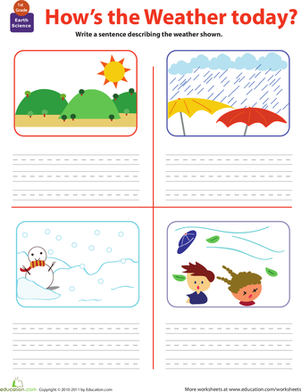 What's the best way to help your child get better at writing? Get him to write, of course! 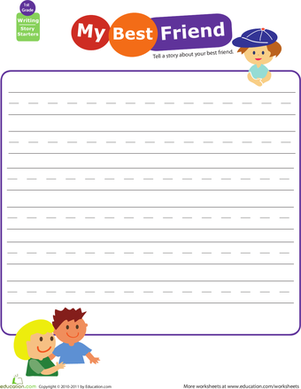 With a simple prompt and plenty of blank space to fill, this worksheet is just the thing to get his creative writing wheels turning. 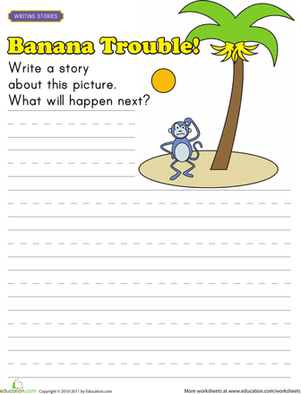 Encourage him to write a story about his best friend with as much detail as he can muster. 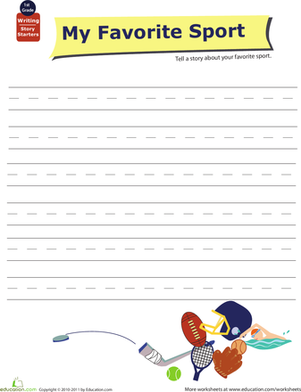 For more writing practise, check out the other worksheets in this series. 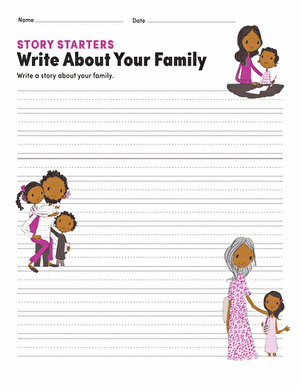 Instead of talking about it, challenge your child to write about it instead! 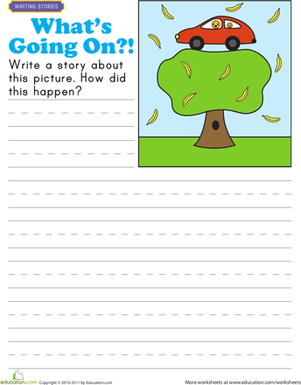 Your first grader will write a fairy tale all about it! 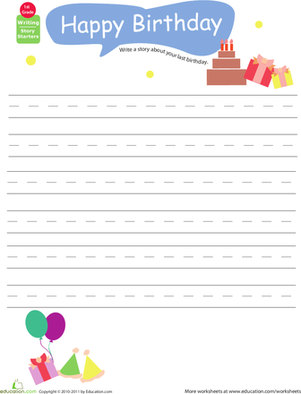 Write About Yourself: Fun Activities! 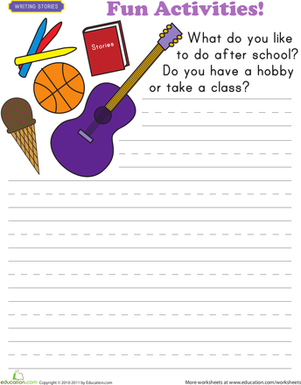 Let your first grader brag a bit about his best skills and enjoyable, after-school activities.